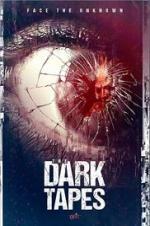 Buy or Rent The Dark Tapes (2017) Movie DVD & BluRay Online! Movie Plot: A genre-defying mixture of horror, sci-fi, myth, mystery and thrills told as four interlocking tales in one intelligent anthology. Ghosts, spirits, creatures, demons and more from the paranormal world collide with rational curiosity.